WE UNDERSTAND THAT HAIR TRANSPLANTATION IS PART ART, PART SCIENCE. At Gelman Hair Restoration, our patients come to us based on quality, cost and trust. Dr. Cliff Gelman utilizes advanced hair transplant techniques for both strip harvesting and FUE (follicular unit extraction). All techniques have advantages and disadvantages. 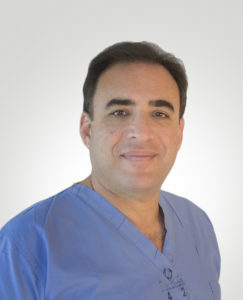 Dr. Gelman personalizes the technical approach and procedure for each individual patient based on those individual’s unique set of needs and desires. Gelman Hair Restoration is the only facility in East Central Florida offering true FUE hair transplant. Let us find what’s right for you. Consider looking outside your local community. We have a travel support team to make it easier for you. Former US Air Force surgeon, graduatied top in medical school class, trained with internationally renowned hair surgeons. Dr. Cliff Gelman possesses both the highly trained artistic eye as well as the technical skill and knowledge required to obtain the natural and undetectable results you are looking for in your hair transplant procedure. Dr. Gelman offers a personalized, more refined and natural look than you might get in a high-volume chain facility. We offer competitive pricing and flexible payment options to ensure our patients get they quality treatment they deserve at a price they can afford. Schedule your free initial consultation today!